May 25, 2017 (LBO) – Sri Lanka will launch its ‘Private Public Partnership (PPP) Unit’ at the upcoming ‘Sri Lanka Investment and Business Conclave 2017’, which will take place 30th May to 1st June 2017 in Colombo. The unit formed with cabinet approval is mandated to source investment from both national and international private sectors to drive the national economic agenda. The new unit comes under the Finance Ministry and is supported and guided by the World Bank. The government earlier said 75 million rupees will be allocated for the initial expenses of the new unit and will be initially comprise of 17 personnel who will be recruited for a period of three years. Managing project selection, implementation and providing project transaction advice are the main objectives expected to be achieved through this unit. PPP cells will be organized in the relevant ministries to handle the work as well as to liaise with the new PPP division. The division will also provide oversight in execution, transparency, good governance, formulation of polices and recommendations to Cabinet Committee on Economic Management. The launch of the new unit will be witnessed by over 200 investors and business partners, among them would be over 100 investors and business partners from more than 20 countries. 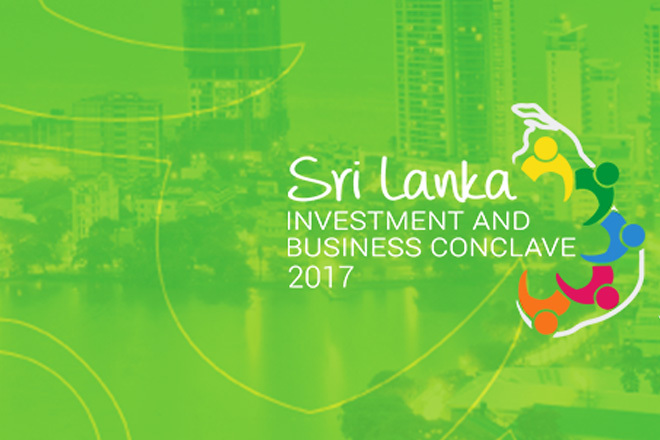 Organized by The Ceylon Chamber of Commerce, the Conclave 2017 focuses on bringing in investments into the areas of Agriculture, Apparel, Education, Export Manufacturing, Export Services, Infrastructure and Knowledge Services. It also covers Tourism and Leisure, Power & Energy, Telecommunications and Related Services, Ports Development, Distribution of Petroleum related products such as LPG & LNG and Recycling of Waste.